MR. SMITHEE | "A Monster Calls"
Art Direction, Photography: Mr. Smithee. Creative Brief by Poster Spy and Entertainment One Films UK. Poster Title: "Stories Don't Always Have Happy Endings." I’ve read the book about two years ago. 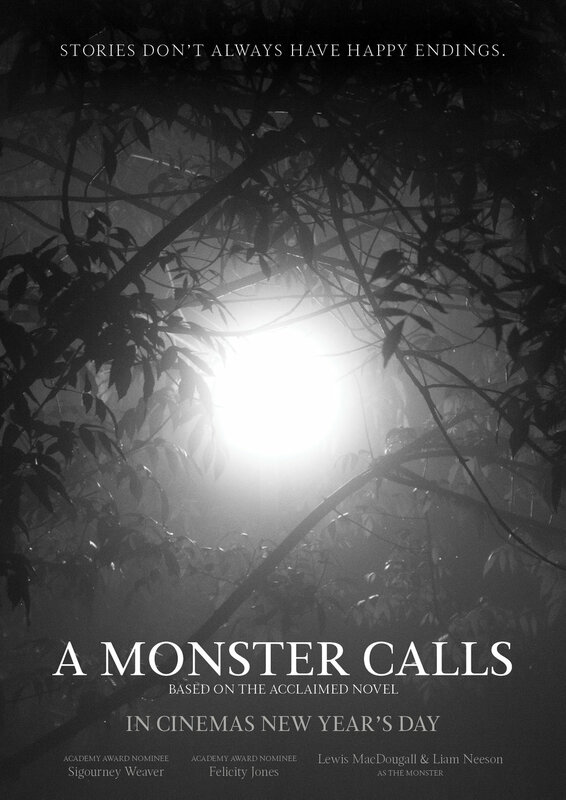 Today I’m 20 years old and looking back, the writing along with the illustrations in the book had a strong impact on me and made A Monster Calls one of my favorite novels. So when I heard of this opportunity I had no doubt how I’m going to design the posters. The brilliant and cruel line “stories don’t always have happy endings” was the obvious pick for theme and tagline due to the precise choice of words which conceive the story’s cold tone and message. This is what this story is about. The truth. I believe that the best monster is the one you can’t see. Let your mind wander. I shot the images used in the posters.